**Special Note**: From December through March is when we put extra focus on these services! So call us today to discuss the options for your custom project. 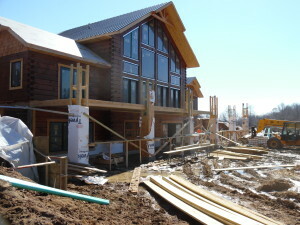 Remember that we see beautiful log homes every day and we will have amazing, creative ideas that we can share with you. 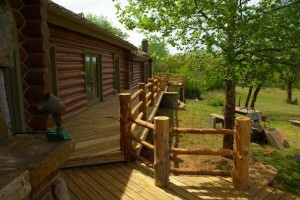 Is your log home or log cabin missing those special touches that you need to make it perfect? If so, 888-LOG-GUYS can help! Nobody is more experienced at detailed carpentry work than our teams. 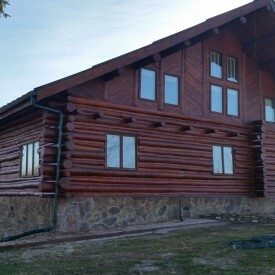 Here are just a few of the projects that we can handle for you: log home interior and exterior finishing; log staircases; custom log staircases; log railings; log posts; decorative log posts; custom decks; window and door replacements; installing and repairing new log siding; log home additions; and log garages. Here are the most common calls we receive regarding log home construction: 1) We get called when a builder has flaked out for whatever reason, and the homeowner needs someone to take the home through to completion. And 2) We get called by clients that just bought a home, or maybe they built a home and it wasn’t done correctly in the first place. And the log rails need replaced, or a deck needs rebuilt, or maybe they want to remove the traditional staircase and replace it with a log one. We can help with all of this! 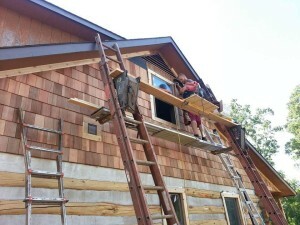 Another common request is, since most log homes have siding in the gables and dormers, to remove the existing low-end siding and replace it with cedar shake shingles or cedar lap siding. We love to help with projects like this because the improvement in appearance is profound! 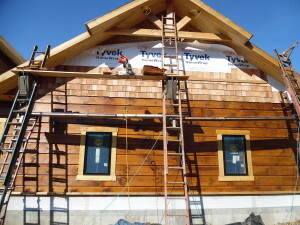 Siding has many benefits to a cabin or house such as protecting homes from the weather, and acting is insulation. This is why it is important for siding to be weather protected, this can be done by hiring someone like Siding Contractor Atlanta to paint and weatherproof your sidings. Making them last longer.